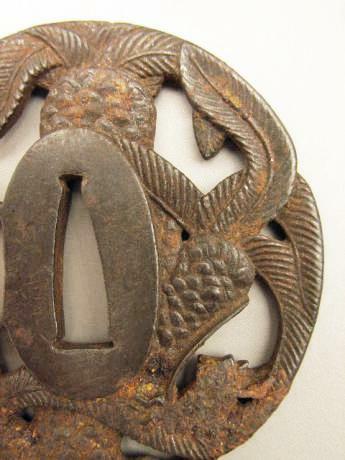 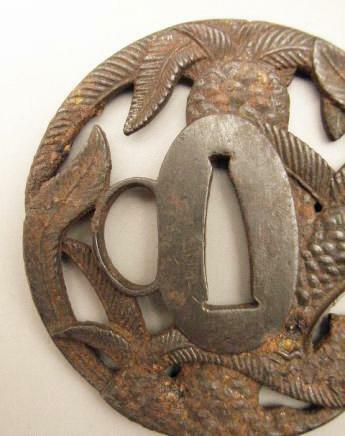 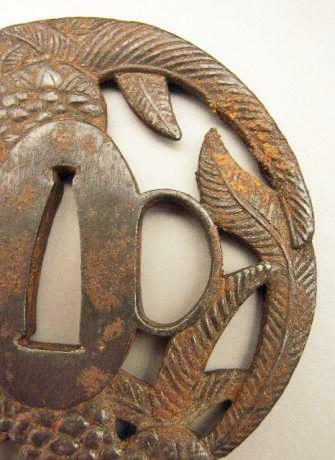 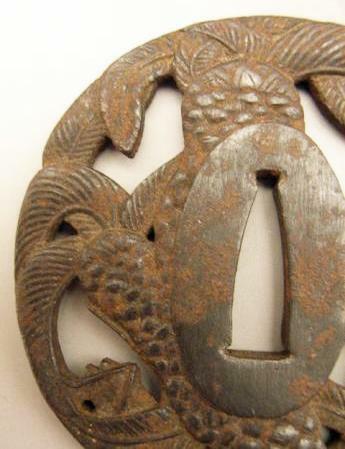 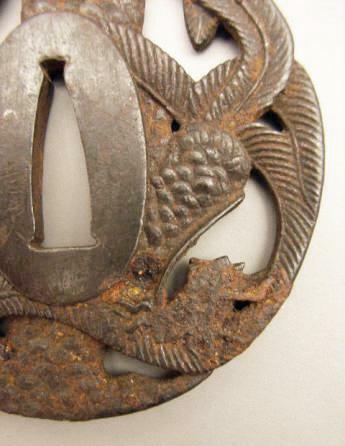 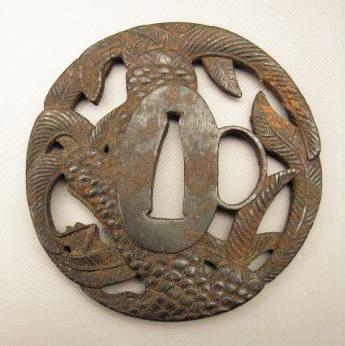 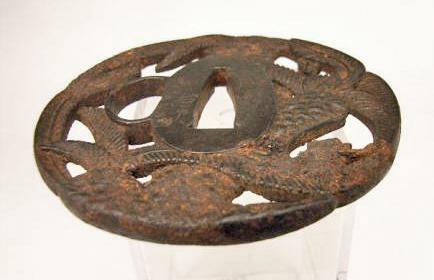 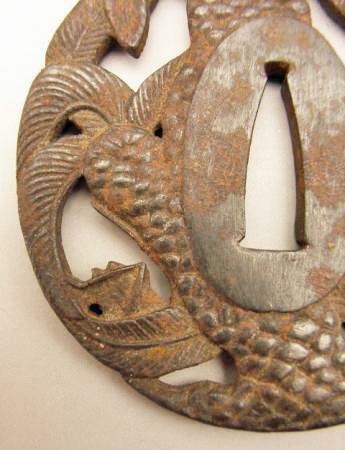 Description: Japanese Mid-Edo Period Akao Tsuba with exotic palm tree design. 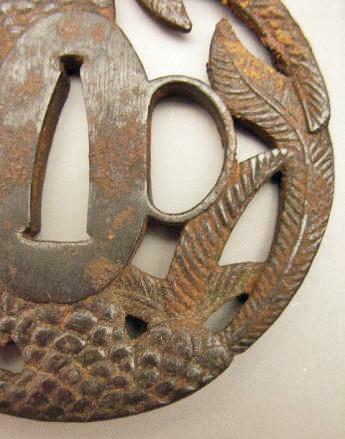 The palm design is done in great detail and realism. 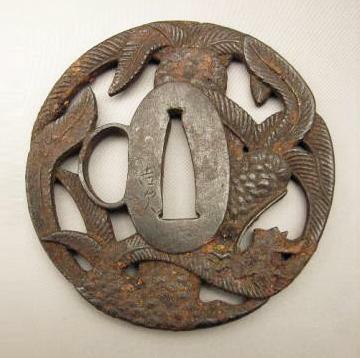 Signed YOSHITSUGU. 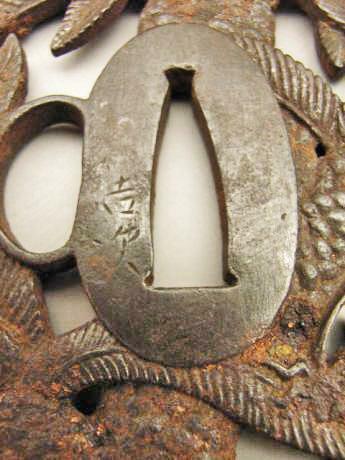 The Tsuba measures 2 13/16" tall, 2 3/4" wide and 5/32" thick.